*Make sure to scroll down to the end of the post to watch the video! 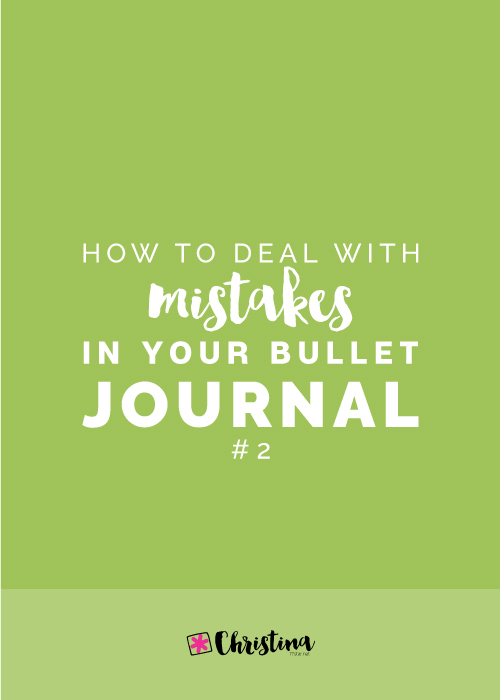 The whole process of moving to a new bullet journal can be daunting for some. In order to make things easier I believe it's best to write everything down and plan everything ahead. 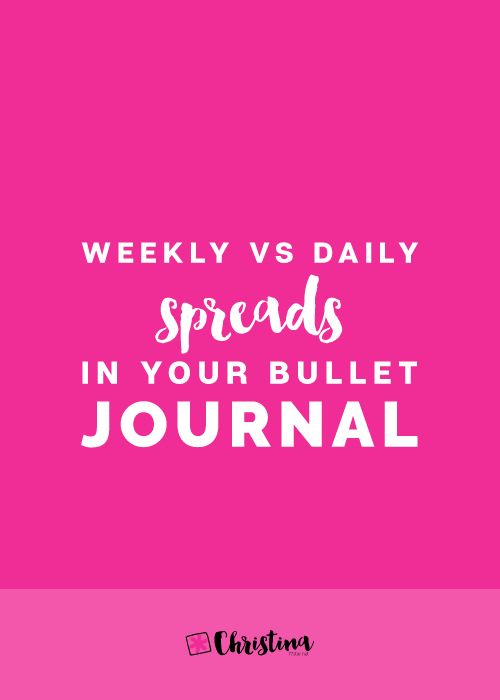 Before we get started with setting up our bullet journal, we must first decide on which spreads and collections we want to add to it, and in what order. So, the first thing I do is to go through my previous journals and I note down the spreads that I want to keep, change and add to my new journal. I have created a whole workbook for that in my 'Creative Journaling' course, where I take you step by step the exact process I take to choose the spreads. For the spreads that I want to change, I try to write down exactly what I want to change about them. This makes things much easier later on. So, once I know which spreads I want to add, I write them down on a list and I’m also adding the number of pages each spread needs. 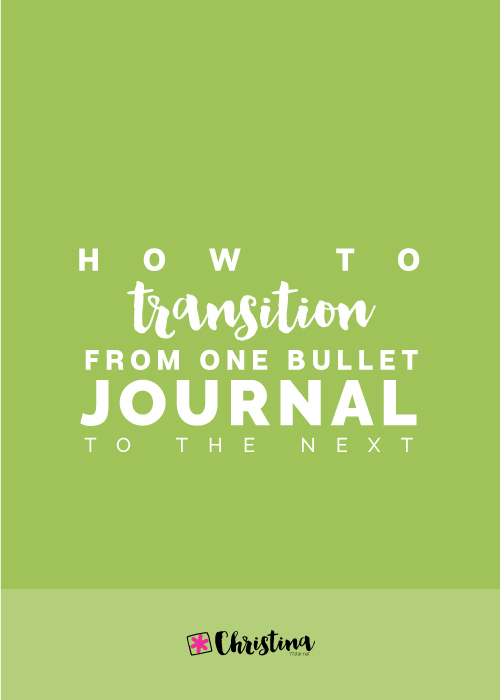 This can affect the order you add them in your journal, so it's important to do that. 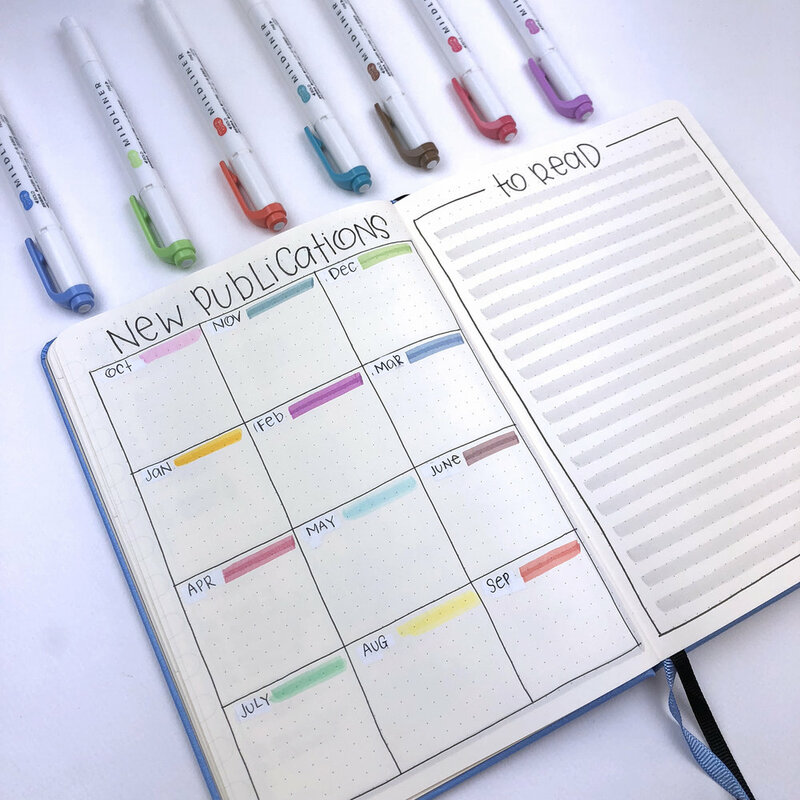 The next step is to put the spreads in the order that you want them to be in your bullet journal. Another way to do this is with sticky notes. Doing it this way it allows you to play around more and see how things look while deciding on the order. 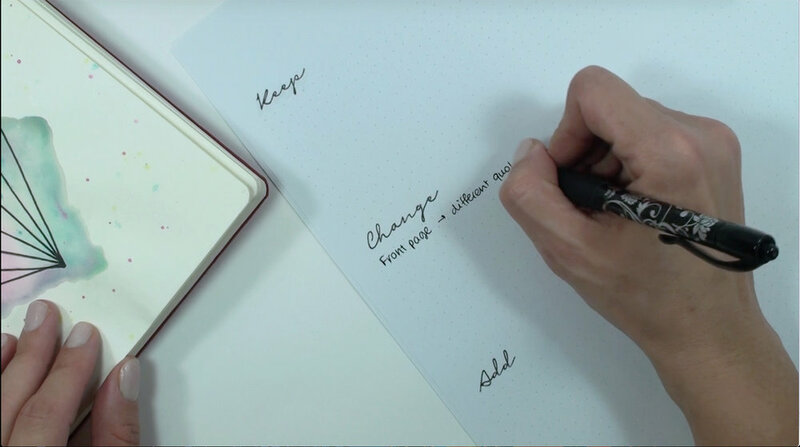 It makes it easier to move collections around instead of writing and erasing every time. 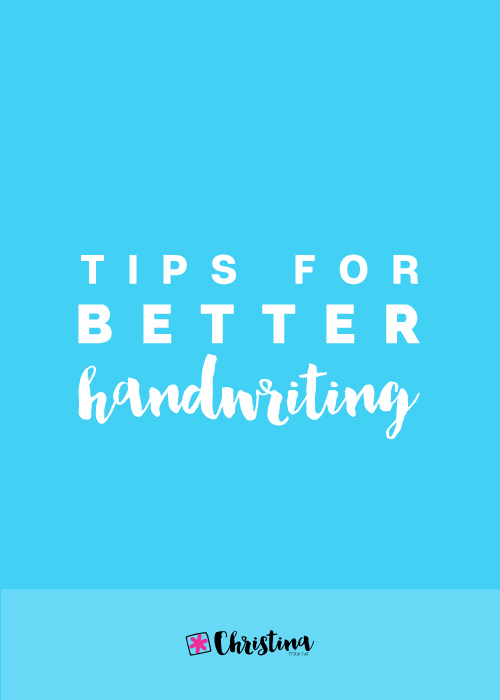 Plus once you’re satisfied with the order, you can leave the sticky notes on the pages and take your time to actually create the layout on each page. For my 5th bullet journal I chose to use the Dingbats Earth Notebook. I've done a thorough review on it here, if you'd like to learn more about it. It's important to choose a notebook that will work for what you want to use it for. So, think about the size you want, the layout, the thickness of the pages and so on. 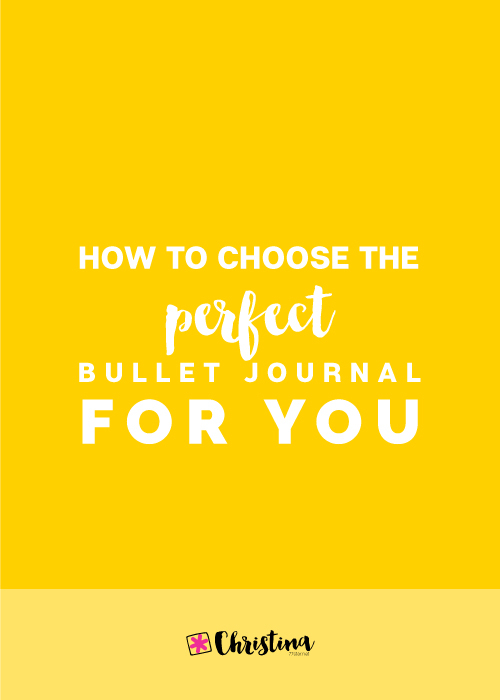 I've also written a whole post dedicated on 'How to choose the perfect Bullet Journal for you'. Once you've chosen your notebook, then we're ready to go! 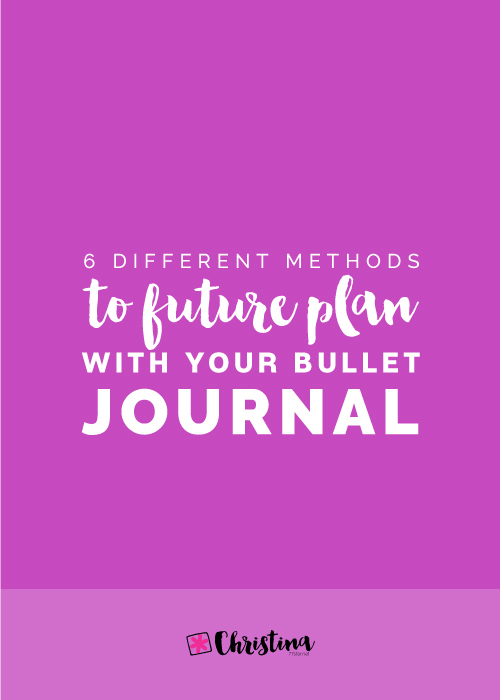 If you choose a notebook that is meant to be used as a bullet journal then some of the following pages might be already setup for you. So, I start by filling in my details at the very first page of the notebook. 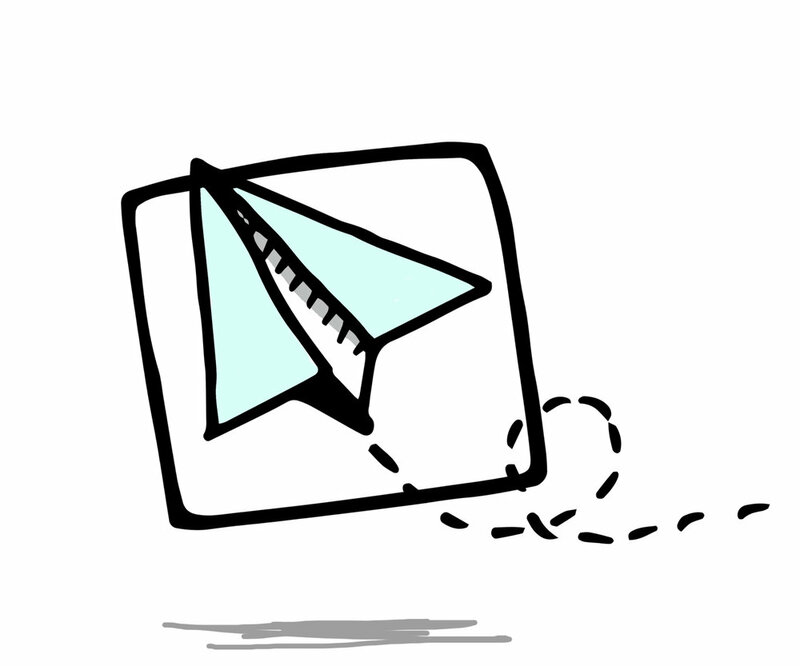 I don't like to add too much information, and I prefer to add my email address instead of my normal address for privacy. The Dingbats notebook has this new feature which is called 'Tab Keys'. 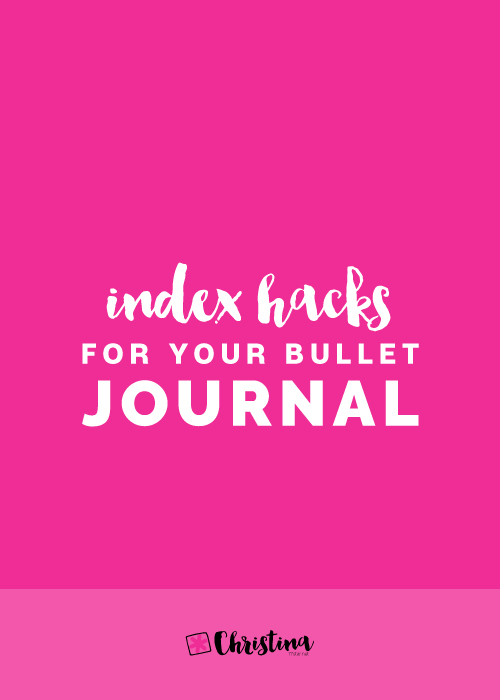 On the Tab Key page, you can create a list of categories of the pages you'll create in your bullet journal. 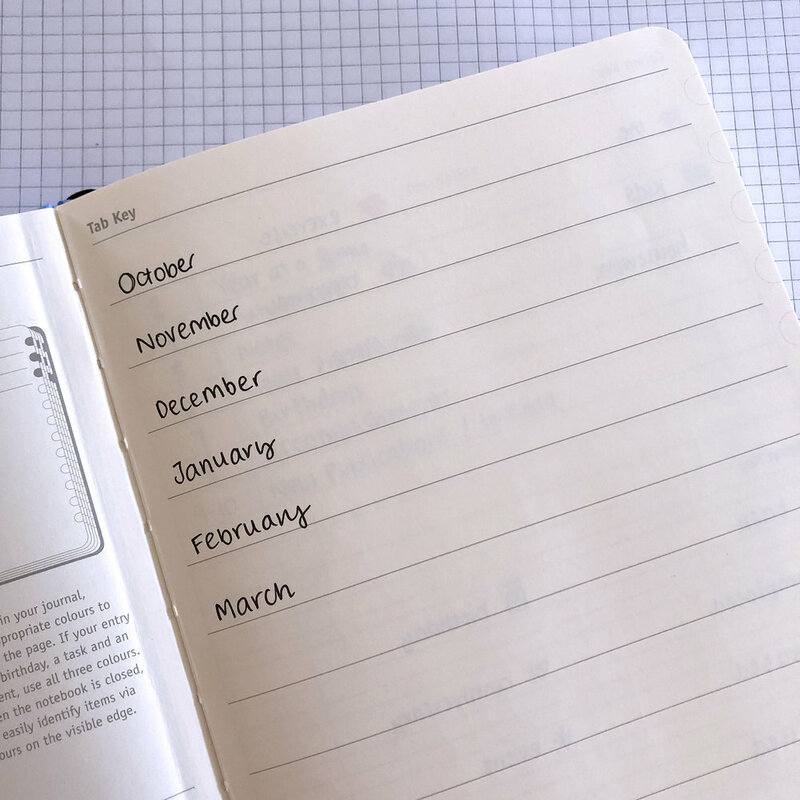 For example, you can write Monthly Spreads, Weekly Spreads, various collections you might have on certain topics like family, finances, health, travel etc. 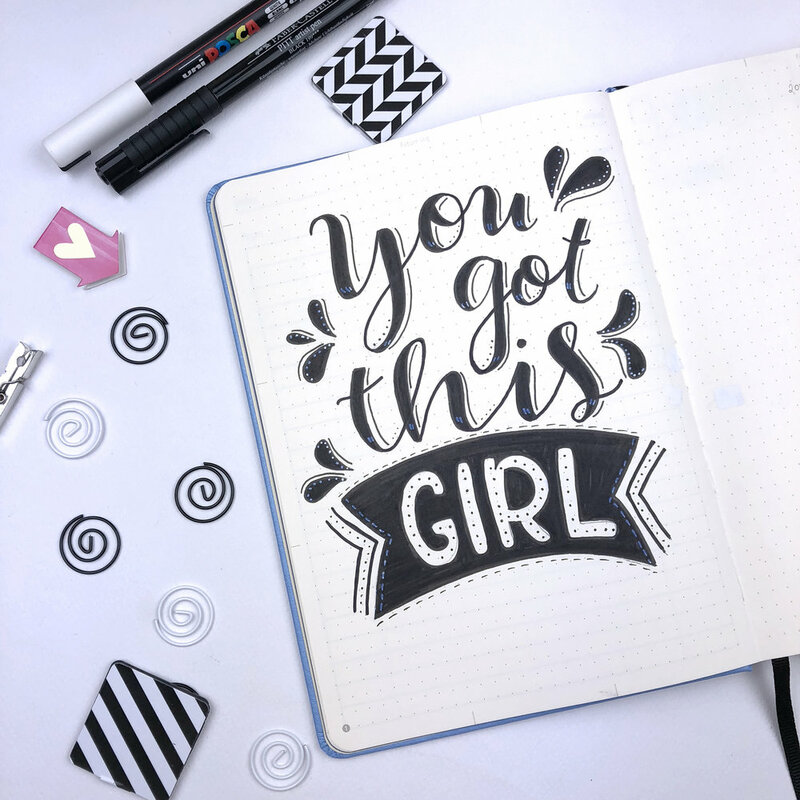 You can add and personalise your notebook any way you want! Then you assign a colour for each one of the above topics and you colour the corresponding tab on your key page. These tabs are on all the pages in the notebook, and so as you write in your journal you apply the appropriate colour to the tab on the page. So, even when your notebook is closed you can easily identify items through the colours on the visible edge. I've decided to categorise my pages by the months first. And since each notebook lasts me for about 6 months, I created 6 tabs until March. I'll also leave 2 lines empty under March, just in case I use it for longer and then I can add more months. On the rest of the lines I'll add more categories as I go along. 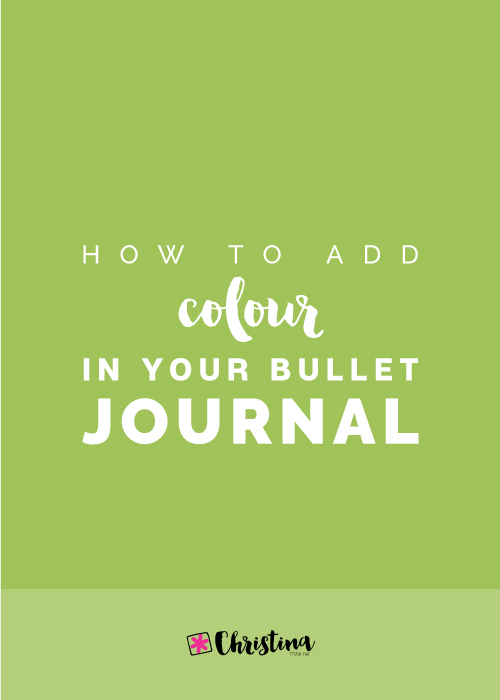 The Colour Key has all the colours that I use for specific categories, and it has stayed the same throughout all my bullet journals. I keep my Key and Signifiers very simple. I only use a dot for my tasks and I only use more specific symbols for bithdays and anniversaries and events. I found that using various different symbols for your activities can be a bit confusing some times, and I also thought that it made my pages look a bit messy. In the Index, I was adding the titles of the pages as I was creating them. Usually I start by decorating the very first page of my bullet journal. I like to add a quote or a drawing that means something to me on the first page of the notebook. I prefer to do it on the first page because it's usually thicker than the rest of the pages and this allows me to be more creative and add watercolours and other mediums that would normally bleed through the normal pages. I also think that it’s nice to see something inspiring every time you open your bullet journal. I talk more about it in this blog post. However, the Dingbats notebook has an infographic on the first page, which I like but I can't use the first page as I normally do. So, I moved to the very first page after the Index and I created my quote page there. When I start my bullet journal in the beginning of the year, I tend to go for something inspiring for new beginnings and things like that. But since this one starts mid-year I wanted something more general but still inspiring. After I searched a bit online, I found this quote on Pinterest that I really liked and decided to recreated on my page. I like the way it turned out and even though I was a bit apprehensive for using too much black, I really like the effect. For the next page I wanted to add a year at a glance, so I printed one of my layouts on a sticker paper and added it on the page. That's a much quicker and cleaner way to create all these months. You can find the 2018 Year at a Glance on my Etsy Shop. I know that I'm starting from October and that a lot of people usually start from the month they are actually starting using the notebook, but I still wanted to have a whole view of 2018. And I'm also planning to create another Year at a glance page later on, for 2019. Next I created my Future Log. I've tried loads of different layouts for my future log in the past, and even though I liked them, I wanted to try something new. 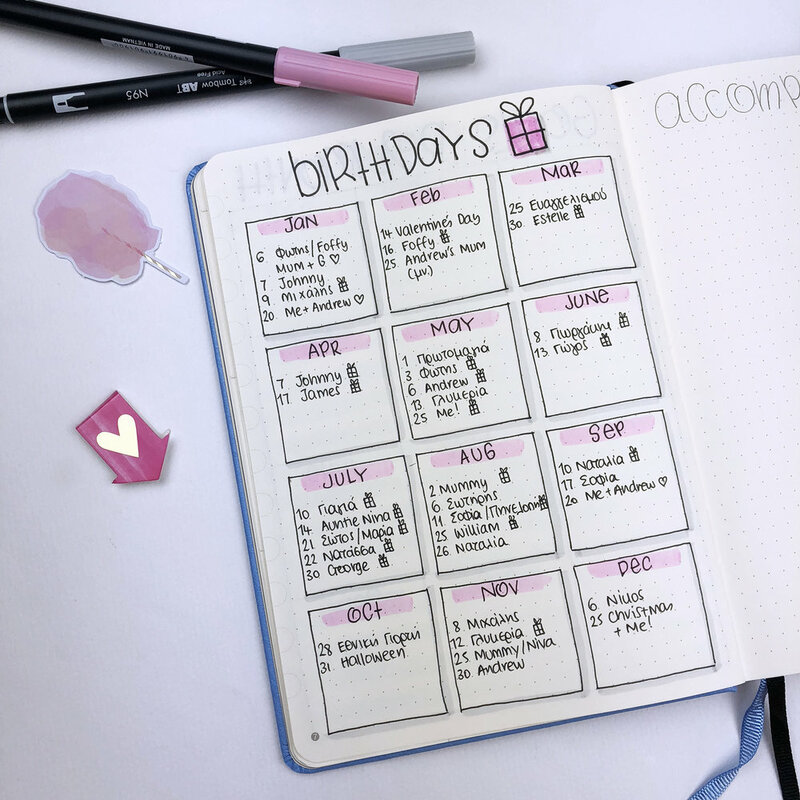 So, I saw this picture by Inga on Instagram and I knew I had to use this layout for my new bujo! I decided to add different pastel colours for each month to separate them. And I'm planning to use these colours for the Tab Key I mentioned earlier, to keep everything organised. I love how it turned out and how simple everything looks. I decided to add a Notes page after that. I wanted to have a page after my future log where I can add any possible future events / appointments that I might plan for after March. I didn't do that in my previous bullet journal and I ended up using post-it on the page. Which I guess it's one way to do it, but this time I wanted to make sure I have enough space for my plans or any notes for the months after March. On the opposite page, I added my Goals per Month spread. I kept it very simple with a table with all the months starting from October and ending on September 2019. 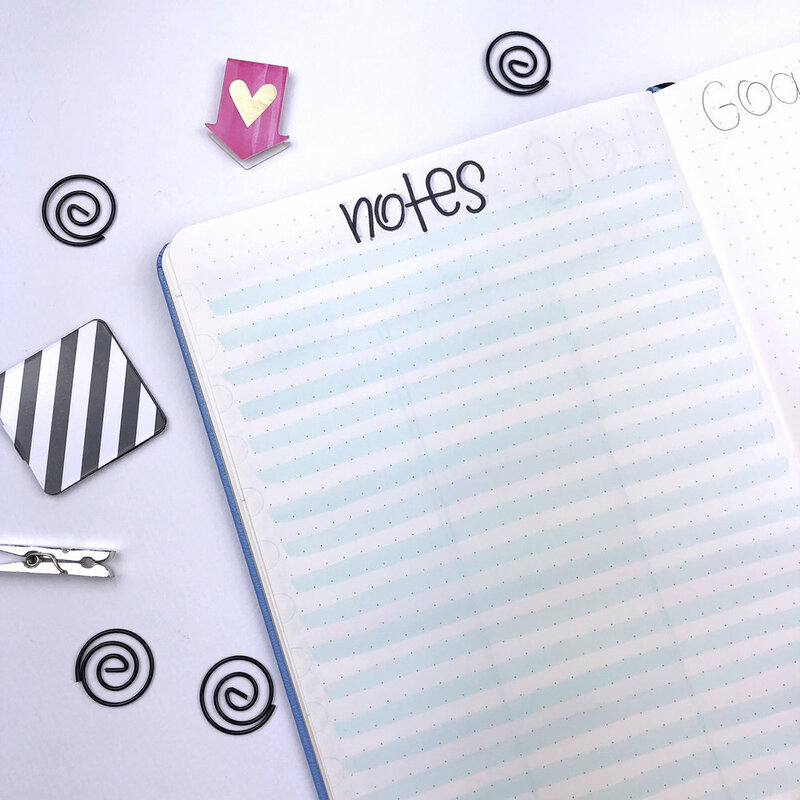 I think it's very important to set goals for yourself, and I've found that I'm way more productive when I set specific goals for each month separately. For the Birthdays spread I decided this time to turn it into a one-page spread. I saw that I didn't need the extra space and I think everything looks now more structured and organised. So, this is how I've setup my 5th bullet journal. As you can see I've opted for a more simple layout with lots of tables and boxes to plan ahead. 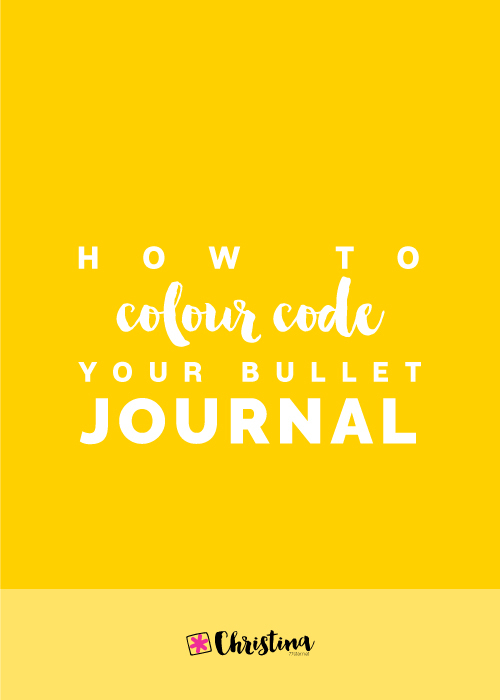 I also used one type of font for all my titles, whereas in previous bullet journal I was experimenting with different types of fonts and calligraphic styles. I like that everything is more put together and more coherent. Also the use of the same pastel colours throughout the setup helps to keep everything consistent. 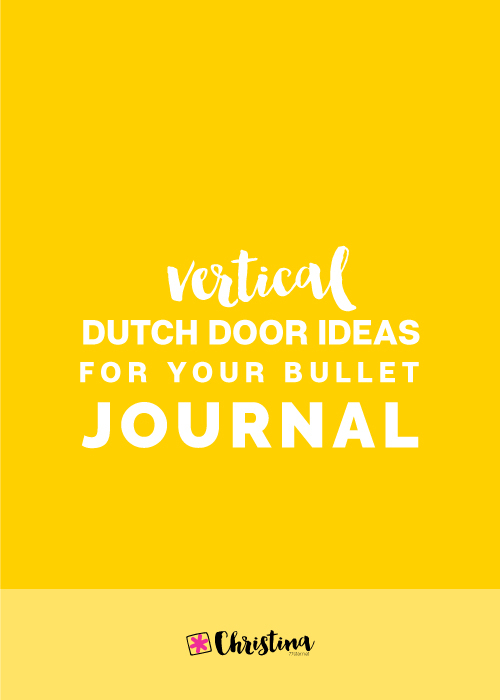 I hope you find some inspiration in all the above and you use some of the layouts for your own bullet journal. If you do so, please tag me at @christina77star. I'd love to see your recreations!